For more than a century, stories about gun fighters and gun fighting in America's Wild West have captivated the imaginations of millions of people worldwide. In his book, Smoking Gun, Jeremy Agnew gives readers a different perspective - skillfully separating fact from exaggeration and providing believability and proof that fact can many times be stranger and more interesting than fiction. 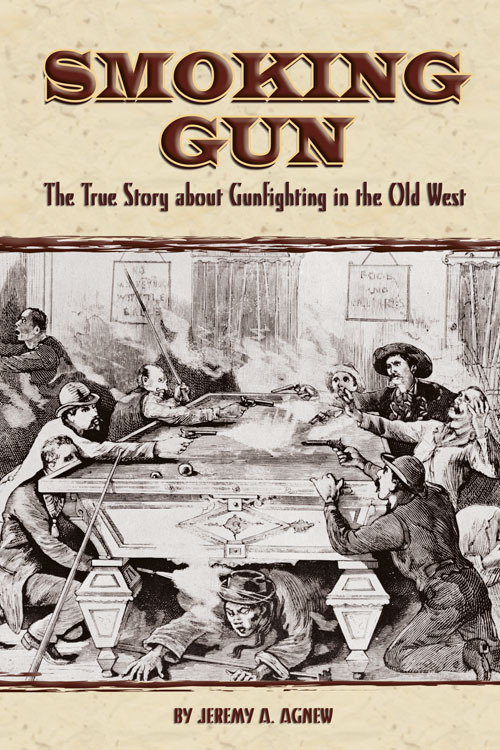 In this well-researched work, Agnew takes a look at what really made the gun fighter tick and why the era of gun fighting occurred when it did, from 1865 to 1900. Combining data on the evolution of firearms, the methods of using those "tools of the trade," and circumstances that contributed to the environment of the time, this book details who the gun fighter was, how he became a symbol of the West, and what made some towns the "baddest of the bad." From casual to the most ardent reader of Old West history, this book promises to be interesting, exciting and absorbing.